The online gambling industry has been accused of allowing underage gamblers to signup, not preventing gamblers with addictions from signing up and disrupting quality time with family as online gamblers spend long hours at home playing on UK online casinos. 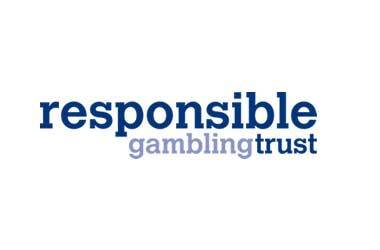 The Responsible Gaming Trust (RGT) which is an industry funded trust is looking to obtain quality data to find out what accusations are just rumours and what percentage of individuals are being impacted negatively by the online gambling industry. RGT has been looking for a reliable data research provided to conduct an in-depth analysis into the online gambling industry and study these trends. After much deliberation, RGT has decided to enter into a partnership with PwC and have commissioned a data analysis project that will last for 18 months. The project will look at online gambling data, player profiling, addictive behaviour and the pros and cons faced by online gamblers. The PwC report will also highlight possible solutions that can be used by online gamblers to restrict the negative impact that the online gambling industry might expose them to. RGT is committed to commissioning research not only to understand player behaviour but to improve processes in the industry to mitigate gambling-related harm. We have completed an extensive tender process and have emerged with research partners of the highest caliber. Between them PwC and the Responsible Gambling Council have an extensive understanding of the gambling industry and issues of social impact and I am confident that this work will make a valuable contribution to efforts to minimize gambling-related harm in the remote sector. PwC was happy to be awarded the project and PwC Partner and Betting & Gaming Leader David Trunkfield stated that the company was happy to work on a project that would be beneficial to society and help online gambling companies mitigate any negative impact that might surface as a result of this study. The company will adopt a strict data led process to ensure that all its recommends are quantified and measurable so that RGT can then come up with practical solutions to address any negative impact.